Much like the rest of the continent, business education in South Africa is a work in progress. The country is home to a handful of world-class schools, but it still has some way to go to mirror the complexity of its population and economy. Samantha Louis, regional director of the Chartered Institute of Management Accountants (CIMA) in Southern Africa, explains: "We are only 12 years into democracy. So we're getting to adolescence now." But South Africa has come a long way and black communities have access to opportunities that would have been denied them during apartheid. Most business schools now have large black student populations. Mthuli Ncube, dean of Wits Business School, says the school specifically targets non-white students for its MBA programme, as well as female candidates from all racial backgrounds. 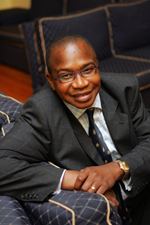 "We are going to lower the age requirement for our MBA," says Ncube. "We think three years' work experience is adequate for an MBA. That way, we are more likely to recruit women before they start a family." However, the country suffers from an acute shortage of managers. Business schools and professional bodies such as CIMA have a crucial role to play in training the next generation of leaders and entrepreneurs. "Skills development is one of the most talked about issues in the country," says Louis. "There is a sense that it is holding back growth." Another challenge for businesses is their lack of exposure to global competitors. "People have been very isolated and now they are part of a very fast moving world," says Nick Binedell, dean of the Gordon Institute of Business Science (GIBS). "Companies need to understand how the market has changed." Most of South Africa's best schools (see below) have been around for more than 40 years; several have got one or more western accreditations, such as AMBA, EQUIS or AACSB. The University of Cape Town Graduate School of Business is ranked 52 in the world by the Financial Times in 2007, and GIBS is in The Economist's top 40 for executive education. The latter also has excellent links to the country's corporations. The problem is catering for the level of demand. In a country of 44 million inhabitants, only 17 schools are accredited by the ministry of education. The problem is even worse for the whole continent, where fewer than 30 schools serve 850 million people. South African institutions are also struggling to find and retain good faculty. "There is such a shortage of managers in the corporate sector and salaries are so high that young talent won't consider a career in academia," says Ncube. "We're victims of our own economic success in a way." In an effort to improve the quality of future faculty, business schools across Africa have joined forces by creating the Association of African Business Schools (AABS), set up in 2005 as a by-product of the Global Business Schools Network (GBSN). Binedell is chairman and it already has 14 members. One of the main goals of the association is to train faculty, particularly in the use of the case method, with the help of leading institutions such as Harvard and INSEAD, and it is in the process of creating a database of African case studies. Binedell also hopes that the association will help deans to exchange ideas about business school management. Most run a tight budget with little or no state subsidies. AABS will help schools obtain accreditations to boost their recognition on the international scene. At the moment, there are few full-time international students, yet Eon Smit, dean of University of Stellenbosch Business School (UBS), says that South African MBAs are financially attractive. They cost a fraction of those in Europe or the US (R80,000, about $11,000) and are taught in world-class institutions in great locations, he says. There is also plenty for Western students to learn. Frank Horwitz, dean of University of Cape Town Graduate School of Business, says that emerging markets have a complexity completely different from mature markets. "I think there is a third 'Q' in emerging markets; it's cultural intelligence. It's about understanding and having the willingness to embrace stark differences in religion, culture, ethnicity and economy. Those are very special challenges that leaders face." Managing diversity has been pivotal since the end of apartheid, especially with a workforce plagued by HIV/Aids. Matt Symonds, director of QS Network, a company that organises MBA fairs across the globe, says it is important that South Africa caters for its market. "Big firms can always gain consultancy input, but line managers have to be grounded in their own economy. African schools don't need hordes of Ivy League-trained managers. They need a more hands-on approach." Smit says that his school aims to contribute further to the development of the country. "At the moment, many of our students join local conglomerates, but we need to churn more of the job-creators and risk-takers in our economy. We need to create more entrepreneurs." And more of an African voice. At the heart of Johannesburg is a business school unlike any other in South Africa. At CIDA (Community and Individual Development Association) City Campus, business degrees are virtually free. Its 1,500 students all come from financially disadvantaged backgrounds, with the vast majority from black communities. Taddy Blecher, co-founder and CEO, explains: "We have 42% unemployment in South Africa, yet there are tens of thousands of jobs advertised in the papers every day. There is a dearth of skills and a chronic mismatch between what we can produce and what the economy needs." Funded and supported by South Africa's biggest corporations, CIDA City Campus has pioneered a new low-cost business education model: its Bachelor of Business Administration (BBA) costs a fraction of the price of a degree at a mainstream university. CIDA achieved this cost-efficiency by an innovative use of technology, involvement of its students in the day-to-day running of the campus and a network of partnerships with other institutions. Large business schools worldwide have responded well to the programme and CIDA has worked with everyone from fellow South African business schools to the Open University in the UK to Harvard in the US. "I think people have realised that we have a huge part to play in the new South Africa," says Blecher. "Also, we don't compete with other business schools since we take only non fee-paying students. We have lower entry standards and we offer much more psychological support." However, students do have to contribute financially: R350 ($45) the first year and R150 each month over the rest of their four-year degree. In South Africa, most students would struggle to pay even this amount and sponsorship is generally the answer. As it enters its seventh year, CIDA City Campus has been overwhelmed by the interest it has received - and the success of its 2,700 alumni. "For the thousands of people who apply, this is often their only chance to get a degree and a good job," says Blecher.